This charming and cosy self catering holiday cottage in the beautiful crofting township of Tolsta Chaolais on the Isle of Lewis awaits couples who are seeking a holiday away from it all. Located in the beautiful crofting township of Tolsta Chaolais, on the Isle of Lewis, The Old Post Office is a charming and cosy self catering holiday cottage. It awaits couples who are seeking a holiday away from it all. Beautifully decorated, this warm and welcoming cottage has both central heating and a wood burning stove. Settle down in front of the fire with a book, watch TV, play Scrabble or do a puzzle, or simply take it easy and relax… you could just snuggle up in the king sized bed or soak in the free standing bath and completely chill out. The kitchen is fully fitted with modern integrated appliances including double oven and grill, washing machine/drier, dish-washer and fridge freezer, and a wine fridge. For those of you that like to cook, there is a good range of cookbooks, pans, cookware and crockery that will allow you to make both simple or sumptuous meals. There is a basic stock of everyday essentials such as cleaning products, plus herbs, spices, condiments etc. Tesco will deliver directly to the cottage; you can arrange this from the comfort of your own home before your journey. Tea towels and hand towels are supplied. The shower room has old fashioned character with modern fittings and a large shower. Towels and bed linen are supplied. The cottage is a dog friendly establishment (max. 2), so your well behaved ‘mans best friend’ can enjoy the island adventure with you. The garden to the rear is fully enclosed, so no worries about letting your dog out to stretch its legs. Please note that Tolsta Chaolais is a working croft township where animals (sheep, cattle, hens etc.) can often be found roaming freely around the township. As well as being a great place to relax, the Old Post Office is conveniently placed to access a variety of outdoor activities. There are walks around the village that allow you to gain fantastic views of the village and out to the Atlantic Ocean, plus others along the shore for the beachcomber in you. Golden eagles and Sea eagles are often to be seen, and during February 2017 we had several sightings of a humpbacked whale in Loch Taig. 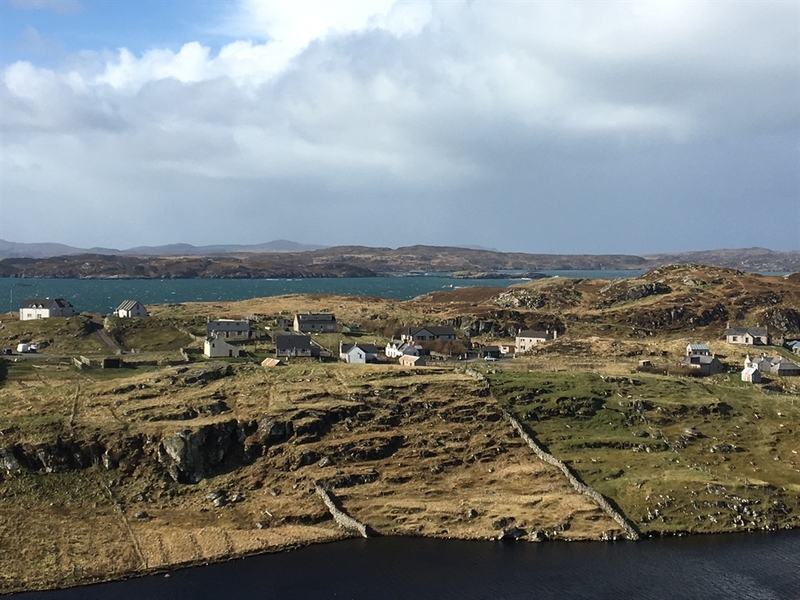 The cottage lies within close proximity to many archaeological, historical and cultural attractions and places of interest, such as The Calanais Stones and The Gearannan Blackhouses. The island is famous for its production of Harris tweed which you can see being made locally and purchase if you so wish. See our ‘Places to…’ menu for more on these and for details of other attractions.